It's their first ever Crimbo campaign, but the famous international airport has outdone itself with its offering of seasonal cheer. It has charm in bucket loads, after all, what could beat two little teddy bears on their way home for Xmas? 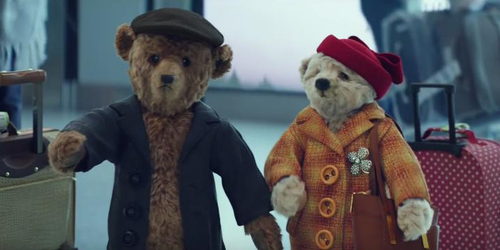 The sweet footage shows the couple of teddies travelling through the airport, in scenes that many will recognise from their own experiences. 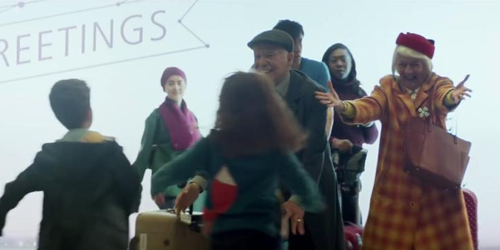 Read more: Is This The Most Heartbreaking Christmas Advert Of All Time? Mrs Bear gently wakes her sleeping husband up on the plane, whilst Mr Bear guides her through Passport Control in the touching video. "The simplicity is what makes this advert so wonderful. It's just so beautiful and touching. Merry Christmas everyone!" - Erika Baird. To a clever quip from Philly Part Two, who adds "This is basically Paddington's birth parents." At the very end of the story there's a little twist which we absolutely didn't expect!